Eye the difference between two, quality is the Issue!! Transcription is an indispensable part of your business with unlimited benefits. In this era where businesses are blooming with an edge over their competitors, transcription holds firm ground in market. Now our world is digitalising where we have latest gadgets, tools and techniques which enable you to get your work done in snap of fingers. Same goes for audio transcription. With many open options available in market many people think of getting audio and video transcription done through other hired resources called freelancers. Freelancers aren’t free of cost as the difference lies in the authorisation; freelancers are people who work independently without being connected to any organisation. Don’t you think transcription through freelancers is time taking and chancy. For freelancing you need to post a job on various websites like oDesk and Elance that act as a platform for freelancers to gain work then employer finds a suitable freelancer and ask necessary questions and negotiate on rate. 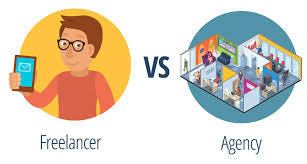 Once the rate is fixed freelancer is allotted a milestone to cover and deliver work accordingly. Freelancers are paid according to different kind of files some are difficult to transcribe as they have different accent or may have background noise. You need to send audio files to freelancers and they respond to you with transcripts in documented form. You will check the document to ensure quality and accuracy which will make the entire process an agony for you. It will be worse when you have time crunch and freelancers failed to give you accurate transcripts. Do you think this entire cumbersome process can make your business efficient, the answer is no!! The optimum utilisation of resources will always leave you best results. Now there are companies like us, Scribie, who manages the entire process and leave you the quality transcripts and you just need to sip in coffee and see those reports. First, with us you need not to spend variable cost or bear differentiated cost, we provide flat pricing. Second in the list is reduced file management like uploading and downloading steps, we provide conference call recording service integrated with audio transcription which makes it ultra-convenient for our clients. We are backed by reliable infrastructure. How great it would be when you can track the progress your transcripts, with Scribie you can actually glean at transcripts. The integrated editor provided to customers helps them check the quality of the transcripts in an efficient manner which saves a lot of time and effort. We have in house professionals who got the right experience and skills for transcription. We have a distinct quality team wherein we have proof readers who double ensure our trademark which is 98% accuracy. Transcripts are delivered only when they are checked by our QA team. We guarantee quality and free-review too if the quality standards are not met. With modern outlook in business, time is money so working smart is one essential thing to win the race. We will shoulder your burden of responsibilities towards transcription by reducing steps and making the entire process hassle free. Please find the link below to our latest release of conference call recording service integrated with the transcription service. Please send a mail to support@scribie.com if you have any queries or you can chat with us directly.